Learn about the accessibility of our building and programs. The church office is open Monday through Thursday, 9am to 3pm. 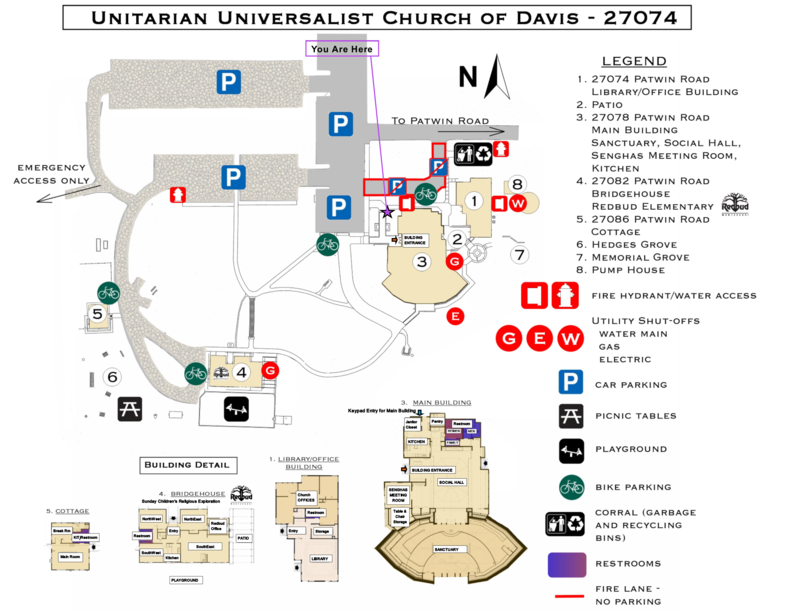 To reach someone during this time, please call (530)753-2581 x203 or send an email to office@uudavis.org. We have ample vehicle parking and three bike racks on our campus. Take Fifth Street west; it turns into Russell Blvd. Follow Russell over the 113 Freeway. When the road splits, remain on Russell by taking the left. Turn left onto Patwin Road. The church is on your right. From I-80 West, take the 113-North exit. Take first left onto Patwin Road. Turn Left onto Patwin Rd. From I-80 East, take the 113-North exit.